Great picture from Kell Road Race last Sunday. We were sitting just out of shot to the left and the yellow Duke came sliding over the hill, next thing the silver R6 t-bones him at approaching a tom (i reckon). If you look closely the R6 is already quite a way past the duke - he went over the handlebars and the bike went with him into the hedge just out of the bottom of this shot - about 40 yards from the impact. He was attended to by the medics and looked in a bad way, but after about 10 minutes he got up, waving and smiling - a nutter!!!!! And well done camera man! 26-Jul-02 taz_750g.yahoo.com - Now that is what I call camera work ! 26-Jul-02 newcraze.hotmail.com - Ghost Rider you are clear for landing. 26-Jul-02 marty.netbistro.com - Great shot! AIEEEEEEEEE!!! 26-Jul-02 matthewy01.yahoo.com - Excellent pic!!!!! 26-Jul-02 mistergixxer.hotmail.com - Negative Ghost Rider, the pattern is full. 27-Jul-02 wfo929rr.hotmail.com - nah, I've heard they were coming out with some hybred motocross/superbike thing. I think this is one of the first pics. I hear over the next double the guy on the R-6 did a cool (looking back) clicker! 27-Jul-02 primalurgesracing.yahoo.com - sort of reminds me of the movie "Dude, Where's my car". (AND THEN)????????!!!!!!!! 27-Jul-02 primalurgesracing.yahoo.com - Yo Robbie Knievel. WHERE YOU AT??? Yo don't want none of this??!!! You betta ax somebody!!! 19-Aug-02 jlloyd29.hotmail.com - Anybody the outcome of the airborne rider? Did you land it? 25-Aug-02 neal.sport-touring.net - It will not end well for #74. 15-Oct-02 bigsteve110.hotmail.com - Damm Ducati's always gettin in the way like dat. 19-Dec-02 scuffedslider.aol.com - i know that one ended in tears, great shot though, how much did you pay em? 27-Sep-03 motocrane.msn.com - Great timing photographer! Someone buy this guy a beer! 09-Sep-03 DuaneC_.Excite.com - I think he might have stopped because he saw a Chucky Cheese advertisment, nice pic, to bad we all couldnt have started that young. 10-Sep-03 DAVE2000G.YAHOO.COM - this is 1 of the coolest pic's on this site. Chris Walker on a Suzuki GSXR750 at Caldwell Park. 07-Dec-00 INFO.INSANESPEED.COM - the stalker!!!! 08-Dec-00 i will second that suzukis are the shiznit!! 08-Dec-00 joe_rocket.onebox.com - I agree also suzukis are sh*t!!! Webmaster: as are Hondas, Yamahas, Ducatis, Kawasakis, etc... How about we stop harping on the manufacturers not associated with your particular bike and start enjoying the pictures? 26-Jun-03 mikinovv.sympatico.ca - Nice shot! 27-Jun-03 krsejs.aol.com - all the posers may as well join the Harley Owners Group! 27-Jun-03 flet2.hotmail.com - AMEN WEBMASTER!!! 02-May-04 dann001.hotmail.com - what a beauty!!! 03-May-04 jmckenzie5.aol.com - Awesome bike!! Just paint the lower fairing red like Honda should have done. I found this picture on MCM and no this is not photoshop this is a stunt man called Lutz Schleiser. Totally dumb if you ask me. 03-Dec-01 icemanrr.bikeracer.com - yah, well whatever tickles your nut$!!! 03-Dec-01 Hailwood78.hotmail.com - It's not dumb, he was doing this for a scene in a movie. 03-Dec-01 mouff22.hotmail.com - UP UP AND AWAAAAY!!!! 03-Dec-01 yzf600rrider.hotmail.com - What movie? That bike looks pretty sweet, check out that swingarm. 03-Dec-01 Hailwood78.hotmail.com - According to motorcyclenews.com, this was done for a German version of the movie 'Taggart'. 04-Dec-01 fish.extremeriderz.com - There must be a BIG pool just over the tires. IT gets really hot racing you know. 04-Dec-01 juan_k29.hotmail.com - here I come to save the day..........! 04-Dec-01 asiliat.hotmail.com - Rocketeer 2. Where's Jennifer Connelly? 04-Dec-01 Cilywabbit808.hotmail.com - I can see my house from hereeeeeeee! 06-Dec-01 BESTMALDONADO.HOTMAIL.COM - WHAT DID I DO!!!!!!! 02-Jan-05 lucas_zaiden.hotmail.com - holy f... where did he land? moon? how did he get into the tires ??? oh my!! 03-Jan-05 xtrememidget259.hotmail.com - what tha fruit kind of bike is that? look at the swingarm. 05-Jan-05 PuLauer.gmx.de - i was there, this was at Hockenheim / Germany. This picture is from a film which was turned for a TV show. - as far as I can remember. 29-Oct-02 qbzonk.hotmail.com - great pic.....love the angle! 29-Oct-02 frazla.hotmail.com - That’s crazy. You could really trip out passers by with that stunt. 29-Oct-02 masrapido.ozu.es - ouch my back!! 29-Oct-02 MANUBI33.EARTHLINK.NET - THIS GUY EVER SIT ON HIS SEAT? 09-Jun-04 svsracer.yahoo.com - Did you do it yourself? I'm just starting to airbrush, I hope to have my bikes look that good some day. Very Nice! Have you put her in any shows yet? Found on an R1 site. 19-May-02 rjoy.rochester.rr.com - That is probably the most beautiful machine I have seen..
20-May-02 darius240z.yahoo.com - yes that is one of the sickest bikes i have ever seen, to be a complete mad man i would add a turbo, i mean what esle can you do?? 20-May-02 jonogladstone.hotmail.com - mamamia!!! what a gorgous pose.... i can hear the wedding bells for me now.. sighhhh..
20-May-02 wilmaster.hotmail.com - NO DOUBT THIS IS NICE!!!! 20-May-02 killabeez14.hotmail.com - thats nice.. just one thing i dont like.. the rear view mirrors.... is that an MV swingarm?? 20-May-02 maarten_donders.hotmail.com - The wheels are from a mv, the swingarm comes from a ducati mh900e. 20-May-02 NAC_NAC.hotmail.com - Isnt the front tire on backwards ??? 20-May-02 Lee6R.hotmail.com - maybe I am incorrect, but isn't the front tire mounted on the rim backwards. 20-May-02 masrapido.ozu.es - yeah, I though the same, NAC_NAC. 20-May-02 djoker99.comcast.net - Not Sure where this bike is located but In Europe they put their Tires on backwards. Especially Dunlops!! BTW bike is awsome!!!! 21-May-02 masrapido.ozu.es - djoker, what do you say man? In Europe, we put our tires in the right form...If you put atire backwards, she doesn´t work correctly and dead very soon, and in wet condition...it´s crazy!!! Who said you that, was kidding, sure! 28-May-02 jelorian.yahoo.com - Just to comment on the comments left for this beautiful machine. The previous pics of this bike DO have the front indicators as well has running stock suspension. In this pic the front indicators have been removed and the bike is running full Ohlins front and rear. The swingarm is NOT Spondon's nor from a MH900e Ducati. Its a one off custom piece made 4160 (I think) chromly steel. The reason the exhaust is NOT chromed is because its made of Titanium and was custom made by the owner as well. Almost everything made of metal has been chromed. The bike is indeed running MV Agusta wheels and it also has Honda 954 or 929 front rotors. The front tire IS mounted backwards and this is something that I've seen and heard done with Dunlop GP series tires. This bike is NOT a trailer queen and believe it or not the owner and bike will be heading out to the Thunderhill Raceway in Willows, CA for a trackday. This bike is also the owner's daily driver. I hope this clears a few things up for you guys. 14-Jun-02 kamikaze_750.hotmail.com - Very close to perfection,absolutely beautiful!!!! 02-Dec-02 blackvenom7.hotmail.com - This pic is better than the side pic, this angle shows off just how mean this bike can be. 11-Feb-02 maarten_donders.hotmail.com - LOL very funny pic! 12-Feb-02 biceps99.hotmail.com - She's milking it for all its worth. 12-Feb-02 bloodclaatjamaican.yahoo.com - this is udderly insane. 12-Feb-02 hamm_dog.hotmail.com - look at the shadows, they are all wrong, it has to be photoshop. :P J/K funny pic, thanks..!! 12-Feb-02 madkaw69.aol.com - Hey! The shadows are fairly close! :( Besides, it was agettin her on the scanner! :) Now for my next trick...any suggestions? 12-Feb-02 necropsyphex.hotmail.com - do you really have to look at the shadows to tell if its photoshop or not? i mean how many times do you see a cow riding a ninja? 26-Apr-02 djfredflintstone1973.yahoo.com - It's that cow from the Gateway commercials. I heard he spent the cash he made from doing them on a new Kawi. Smart cow. 01-Jun-02 kamikaze_750.hotmail.com - That's strange I didn't know that my mother-in-law could ride a bike and do a wheelie??? 23-May-05 ja_da_wg.yahoo.com - holy cow!!!!! 24-May-05 fieroautocrosser.hotmail.com - Do you have any more modded pics? This one has been floating around for a while I tried googling Mrs. O'Leary's art design but found nothing. 25-May-05 delta_charlie.btinternet.com - is that helmet legal? lol lol that is the maddest pic ive seen! 27-May-05 brotherwolf1.hotmail.com - Cow-a-bunga dude , don't have a cow man !!!!!!!!!!!!!!!!! Nick Mathers' 1994 Honda RS125 during the 2005 season. 02-Jun-04 morten_b_johansen.yahoo.com - cool! good to see a busa actually turning!! 02-Jun-04 MuzzyX11.aol.com - I knew it could do it. Lean in a corner that is. 02-Jun-04 bimotasb8r.gmx.de - Look great ! 03-Jun-04 GotSpeed160.hotmail.com - I see sparx ! tight ! I gotta go try that with my GS700EF ! 03-Jun-04 masrapido.ozu.es - Did you have to cut the fairings to put those bars? Please, ulpload more pics of the mods! BTW, nice angle! Give me a ticket will you! 12-Jun-02 MSanad.YAHOO.com - ha ha ha ha where is that???? 18-Jun-02 biceps99.hotmail.com - Definitly not U.S.A. cops here catch you doing this, they'll tazer your. 19-Jun-02 hakem2suzuka.hotmail.com - lol ??????????? , you do it relay.or gust kidin lool, this car need , a new engin , ,ha ha ha ha ha ,lol , ? 20-Jun-02 MSanad.YAHOO.com - believe it or not, that saved my friend the other day, he was out of gas, he pissed in the tank, the car moved, wasn't the smoothest ride in the world, but he made it those 2 blocks to the gas station..
01-Dec-02 juniorginelsa.hotmail.com - Fill her up PLEASE.......SUPER UNLEADED!!!!! 01-Dec-02 juniorginelsa.hotmail.com - UR turning ON!!!!! 04-Feb-01 That is tight dude! Enjoy her. 04-Feb-01 masrapido.ozu.es - WHAT A LUCKY MAN!!! SOND ONE TO SPAIN!! I WANT HER!!! 04-Feb-01 mrstooge1.aol.com - GET IT OUT! GET IT OUT! Run it!!! 04-Feb-01 hop on the band wagon guys!!! next year you will be dreaming bout something different........!! !RIDE RED!!! 04-Feb-01 GixxerKing.aol.com - Sorry guy, It will take more than one year to build or improve something to beat this!! 04-Feb-01 Loose ... I'm glad that Honda won't ever build anything that crappy. I wonder how long it will take before it blows up. 04-Feb-01 wormsmoove.hotmail.com - Hey, I'm a Honda guy, too, but I don't know if I've ever been excited about a new bike as I am about this super-light and incredibly powerful new ride. Not to mention that it's supposed to handle nearly as superbly as the 750 on which it's based. Way to take it to the next level, Suzuki. 04-Feb-01 Yeah, there's no knocking this beast. You can try, but your only jealous your riding something inferior. Just put your name on the waiting list! 04-Feb-01 gixxersucks.screwyou.com - Well I would get one if I wanted my bike in the shop for recall all the time! 04-Feb-01 Hey, I'm a Honda guy myself, but you have to admit, the competition between the big 4 is making better bikes for all of us. The bikes are getting better, but the price war keeps them affordable. Suzuki raised the bar just like the 900RR, R1, 2000 GSXR, etc. No matter which manufacturer you like, they ALL make a great open class bike. 05-Feb-01 GixxerKing.aol.com - Hey, Icould be wrong, this might be the 1000, cause I think I see the trademark gold forks on the front. Has anyone seen this at a dealer? 13-Feb-01 why is it, that when something new comes out we feel like out last years model is tired? 25-Apr-02 takahiroarai2000.yahoo.com - Unleash the beast! 13-Feb-02 kenneth929rr.yahoo.com - THAT IS AN AWESOME PICTURE!!! 14-Feb-02 primalurgesracing.yahoo.com - Uh UH I feel SICK>>)):: That's just tweet look it's a haga impression!! 03-Mar-02 gixxergeoff.hotmail.com - I wonder how this bike will do with the new R1. Rember how that GSXR-750 just suprised the R1, then the GSXR-1000 came out and well spooked the hell out of Yamaha. 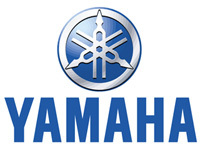 Well Yamaha is going to prove to the world again with this new bike. YAMAHA R1 IS KING, AMAZING BIKE, AWSOME. 29-May-05 eudy.directnet.com.br - Looks like a fake to me. See the white contour around the guy's left foot and on the lower part of the bike.